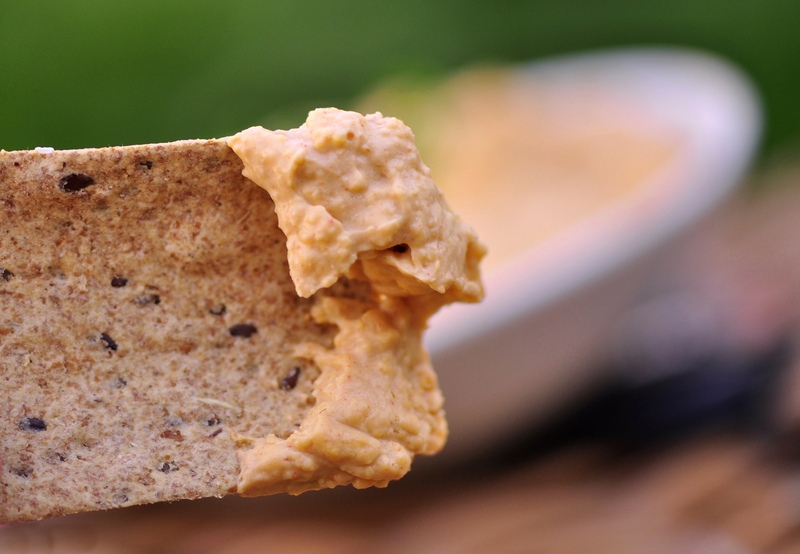 Spreads are perfect for summer because they’re quick and easy. Throw in some beer and you’ve got yourself a good time. I was flipping through an old Vegetarian Times magazine from 2006 when I came across their feature on beer. Since I’ve only ever used booze in stews or soups, I figured trying it out raw in a food processor might be kind of interesting. Mixed with the smokiness of the paprika and the blend of other spices, it worked surprisingly well. Cheddar and beer mix together really well. They are both distinct flavours, but the cheddar sort of neutralizes the bitterness of the beer, while you still get a taste of both. This is like the ultimate pub food, only it’s not deep-fried (always a bonus), and it’s cheaper. I can’t be the only one who finds it ridiculous that bars get away with charging $12 for a plate of nachos…please. 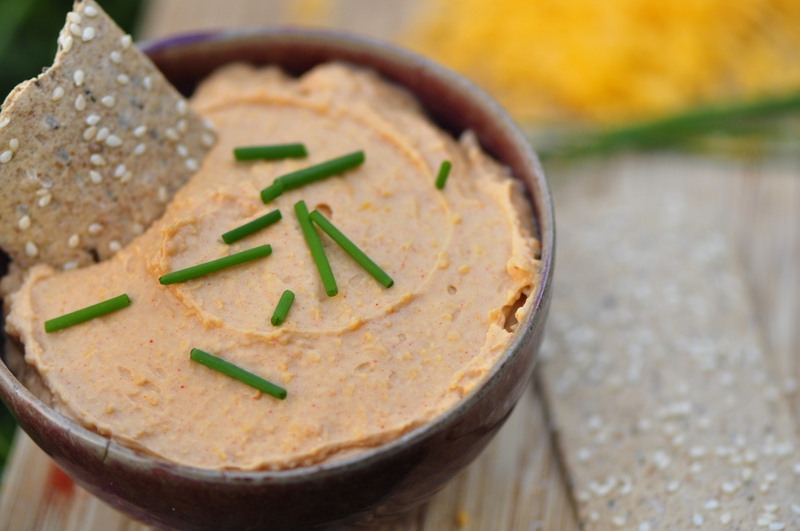 Place cheddar and cream cheese into a food processor. Add Worcestershire sauce, dry mustard, smoked paprika and garlic powder, and process until well blended. Scrape down excess with a rubber spatula, and process again. Gradually add beer, blending until the mixture is smooth and spreadable. It should not be runny—this would make it more of a dip, and beer may over-power the rest of the flavours. 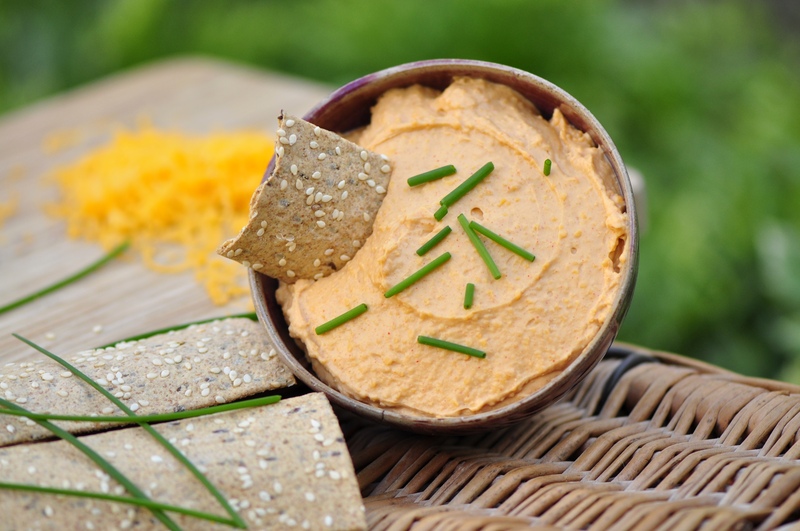 Top with chives and serve with pita chips, in sandwiches, with cut up veggies or crackers. Store in an airtight container in the fridge for up to one week. I love your first photo! Striking! The way you arranged the chives in the dip and the varying sizes drew me in.